What’s the first thing you think of when you think about fall? Pumpkin spice lattes? Apples? Acorn squash? Wait, wait, wait. You mean to tell me that it’s not fish tacos? You guys, I’m the worst. Yep, I’m the person talking about fish tacos on literally the first day of fall. But before you click away, hear me out. I know for a fact that all that pumpkin spice bonanza is going to start to infiltrate your Pinterest/Facebook/Instragram feed immediately, so I’m just trying to give you a break. A nice little safe space to take a breather from all the orange and black. So let’s get to the real reason why you’re here: these fish tacos look damn good! Growing up, fish tacos weren’t really a part of my Mexican family’s diet. Sure, we ate fish, but my parents usually just pan-fried it and served it with a side of rice and sautéed veggies. It wasn’t until I went to college and started looking at recipes online that I realized how beloved fish tacos were by many. When I had my first fish taco, I was hooked. 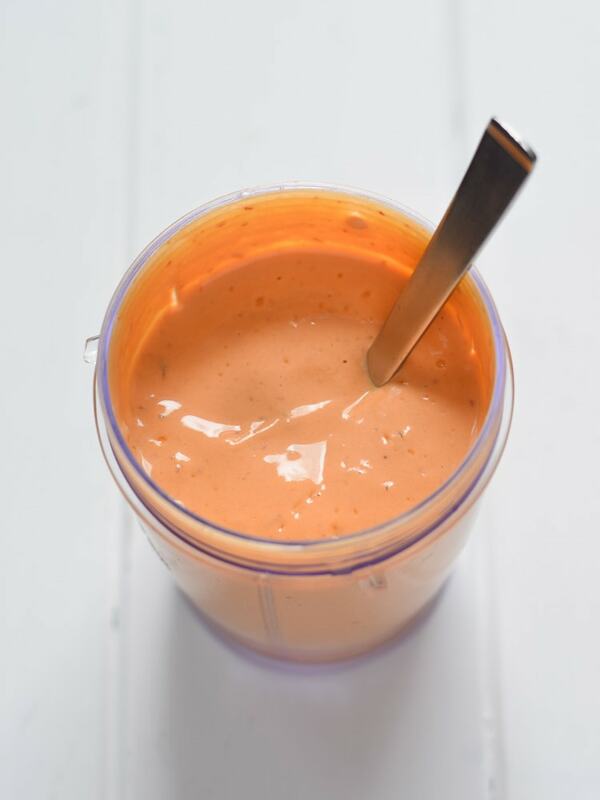 Fresh squeezed lime juice, some cilantro and a creamy spicy sauce to top it all off. What’s not to love?! 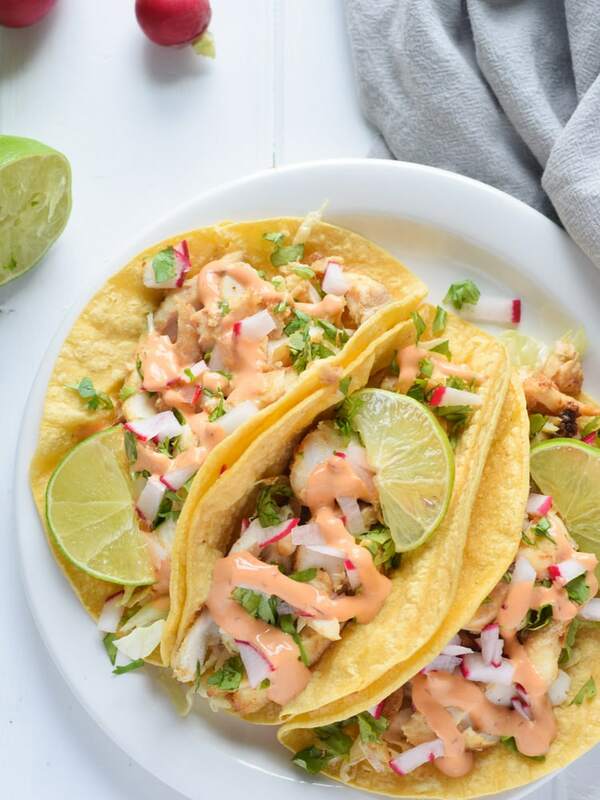 These fish tacos with chipotle lime crema are SO EASY to make, I promise you they’ll become a part of your regular recipe rotation once you try them. The chipotle lime crema made with greek yogurt and lime juice is light and bright yet satisfies that desire for creaminess at the same time, making this recipe perfect for those who are looking to cut back on the super indulgent foods that seem to be everywhere this time of year. For those of you looking for a dairy-free version of the chipotle lime crema, simply substitute coconut milk for the Greek yogurt. In a small bowl, mix together the cumin, onion and garlic powder. Sprinkle both sides of each fish fillet evenly with the seasoning. Heat coconut oil in pan over medium-high heat until HOT. Lay fish fillets in pan and cook for 5 minutes without turning. After 5 minutes, flip fish and cook on the other side for about 2 minutes, or until fish begins to flake. Remove pan from heat and flake the fish with a fork. Serve fish on warm corn tortillas, top with lettuce, cilantro, radishes and chipotle lime crema and enjoy! Mix all ingredients in blender. Blend until smooth. Chill in fridge until ready to eat with tacos! To make this recipe dairy free: substitute coconut milk for the Greek yogurt. Nutrition information is for the tacos only. It does not include chipotle-lime mayo. Haha, I’m so glad everyone liked it! Yeah, chipotle is always a hit or miss with the little ones, but that can easily be fixed! These fish tacos are delicious and very easy. The Crema was really tasty and a perfect compliment to the fish tacos. I followed the recipe exactly and I served them with your Mexican refried beans. Another great and easy recipe. I will never buy canned refried beans again. I am so glad that I found your website. Thank You !! Thanks, Pam! So glad you liked it! Oh gosh, you got all my favorite flavors here. I love fish tacos, I love chipotle and I love radishes. I need to make these asap. Thank you! 🙂 They’re super easy to make, too! I hope you love them. Nice and simple but tasty recipe! Have made fish tacos for a while now, a favorite. Can suggest Costco’s Culinary Treasures Jalapeño Lime Aioli for some time saving prep. 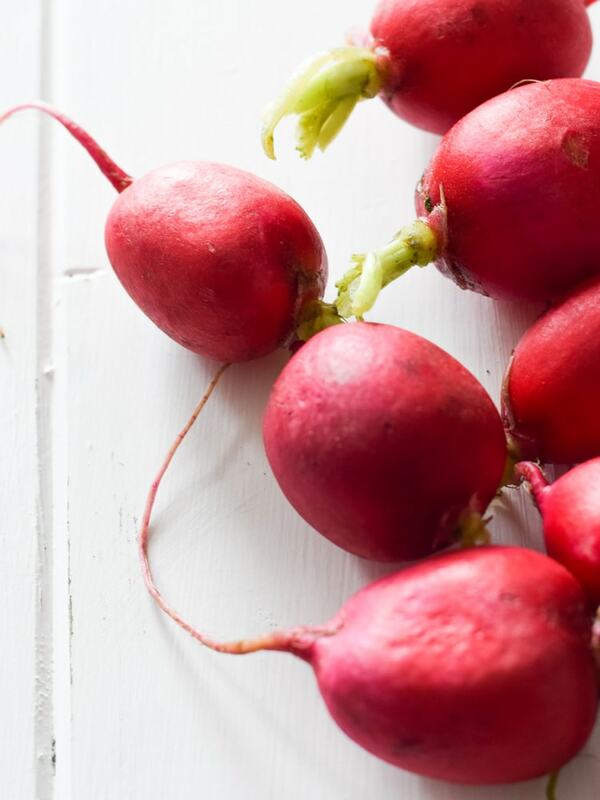 I was attracted to this recipe, using radishes, as I have a bunch and they really are a tasty and peppery addition. ? Thanks, Helen! I love adding radishes to my dishes. Not only does it have a nice pepper flavor, but it adds so much color. And you know what they say – you eat with your eyes first! 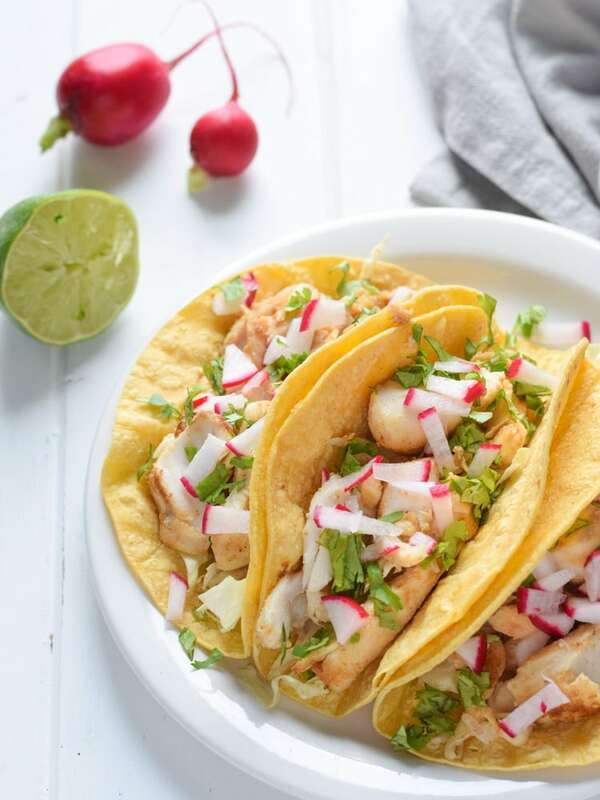 Substitute shrimp for the fish and you have a yummy change up or make both and have seafood taco combo’s. How spicy is the sauce? I really really do not like spicy foods but it sounds sooooo yummy! Is there a way I can tone down the spice yet still have it taste yummy? I don’t think it’s that spicy. I would just add a little of the chipotle and mix it in. Then taste it and if it’s not spicy enough, add more. Hello. This looks amazing! What is the full nutrition information? Thanks! HI Isabel… am excited to try to make this recipe tonight. have not been able to find any cilia in adobo sauce at my supermarket. any reasonable substitutes you may recommend? Hi Kevin, thanks for asking this question. That’s a tough one because without the chipotle, it’s not really a chipotle crema. The only real substitute I can think of is to use chipotle chili powder. That should be located by all the herbs and spices in the grocery store. I would mix in a tsp at a time, taste it and then add more if you think it’s necessary. You can buy canned chipotle at the supermarket (the brand that I find is usually “La Costeña”, usually I find it in Walmart and you mix one chile (only one, because if you put more it can be very hot) with the greek yoghurt in the blender. I am confused- at the grocery store you can buy a 7oz can of “chipotle peppers in adobo sauce”. So you remove one pepper and use all the sauce and throw the other peppers away? I made this recipe with a whole can the last time and you needed almost 2 cups of yogurt to make it the color and consistency right. Hi Kelsey, I’m sorry the wording is confusing. What I mean is to just remove one pepper with your fingers or a spoon and use whatever sauce happens to be on that pepper. As for the rest of the can, I just cover the top with tinfoil and use it for another day in a different recipe or throw it away if you never use chipotle peppers. I wish they came in a jar so they would last longer, but unfortunately I’ve never seen any like that. You don’t want to use an entire 7-ounce can of the sauce. That would be suuuuuper spicy, haha 🙂 I hope this clears things up. Let me know! I put my leftover chipotle peppers in a freezer bag and freeze them. When a recipe calls for them, I just break off what I need and put the rest back in the freezer. That’s a great idea! Seriously don’t know why I never thought of that. Going to try this next time. Thanks for the tip, Lisa! I do this since I saw on Rachel ray. I freeze the rest in a ziploc freezer bag and break off a piece as needed for other recipes. hope this helps. Hi, Rebecca. Thank you so much for asking these questions. If you hadn’t I wouldn’t have caught all these errors! I’ve updated the recipe to make everything a bit clearer. Yes, everything you said is correct. You season the fish with that seasoning mixture and it’s 1 chipotle pepper in adobo sauce, not “1 in.” I don’t know what I was thinking!  Thanks so much for following along. You’re amazing. 🙂 Let me know how you like the recipe! I LOVE fish tacos. We usually make them for birthdays and I can safely say they might be one of my favorite foods. EVER. Thanks for sharing this! The first thought of fish tacos was weird to me, especially since I didn’t eat seafood (picky eater). But now that I am starting to try new things, I might have to give this recipe a shot. It actually looks pretty tasty to me. I’ve tried tilapia and it’s one of my favorites right now. We jokingly call it “chicken fish” in our family, because it’s the one that the picky eaters will actually try. Thanks, Em! They definitely are both of those things! I checked out your recipe and it looks delicious! Thanks, Leisel! The best part is that it’s soooo easy! 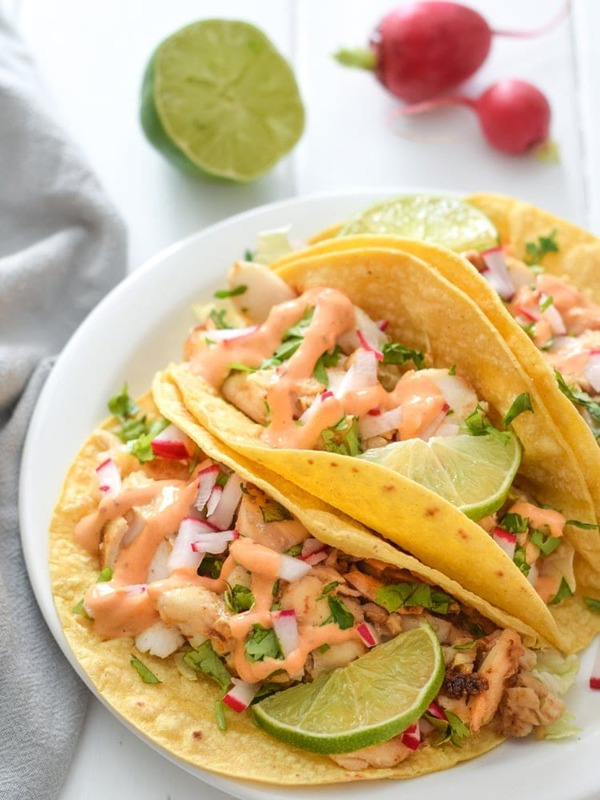 Fish tacos make my heart sing and oh my goodness these look phenomenal!! Craving tacos now. Love the post!